This post includes information on Louisiana’s Class of 2015 ACT scoring outcomes and is chiefly focused upon the Recovery School District (RSD) in New Orleans. It is as much a post about who in RSD is taking as it is about who is not. According to the Louisiana Department of Education (LDOE) district enrollment counts for February 2015, Orleans Parish School Board (OPSB) enrollment is 13,173, and New Orleans RSD enrollment at 30,448. In July 2015, Jessica Williams of Nola.com published information about the Louisiana’s Class of 2015 district ACT composite scores. In that article, Williams included a search engine for ACT composites related to schools and districts. Specifically, Williams’ search engine allows one to look up some schools/districts to see 1) the number of seniors who took the ACT, 2) the percentage of those seniors who scored at or above 20 on the ACT, and 3) the percentage of seniors who scored at or above 18 on the ACT. According to Williams’ search engine, 39,752 Louisiana Class of 2015 seniors took the ACT; 45.4 percent scored 20+, and 61.9 percent scored 18+. The state’s Class of 2015 ACT composite was 19.4. Also according to Williams’ search engine, 1065 Class of 2015 seniors took the ACT; 21.1 percent scored 20+, and 36.7 percent scored 18+. These are low percentages, but one might expect as much given that the RSD Class of 2015 ACT composite was 16.6. What is also noteworthy is the number of RSD seniors: 1065 for a district of 30,448 students. Using the LDOE district enrollment counts for February 2015 and Williams’ ACT-related search engine, I was able to conduct some comparisons of RSD total enrollment vs. number of seniors to those of other Louisiana districts. For example, Livingston Parish has 25,539 students; 1,451 Class of 2015 seniors took the ACT. (57.9 percent scored 20+; 73.3 percent scored 18+). Livingston has several thousand fewer students overall, yet it has several hundred more Class of 2015 seniors taking the ACT. Another example: Ascension Parish has 21,562 students; 1,364 Class of 2015 seniors took the ACT. (56.4 percent scored 20+; 72.8 percent scored 18+). Ascension has almost one-third fewer students than RSD, yet it has 300 more Class of 2015 seniors taking the ACT. A third example: St. Tammany Parish has 37, 699 students; 2,323 Class of 2015 seniors took the ACT. (63.6 percent scored 20+; 78.1 percent scored 18+). Though it is certainly not more than twice the size of RSD, St. Tammany had well over twice as many seniors taking the ACT. Part of the issue has to do with keeping track of students. Dana Peterson of the RSD, a few minutes later: “We’re more worried at the high school level than the elementary level. Its true some kids do leave and fall out of the system.”That’s why, he said, the RSD started hiring counselors specifically for high school kids two years ago to try to make sure they didn’t disappear from the system. 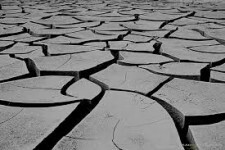 Any examination of RSD outcomes– especially high-school-related outcomes– should be tempered by the inept admissions captured above. However, it is possible for students to be unaccounted for prior to enrolling in high school, as well. As Gabor notes, according to 2013 US Census Bureau data, New Orleans has approximately 26,000 youth ages 16 to 24 who are neither in school nor employed. These young people are referred to displaced youth, or, euphemistically, “opportunity youth”– though what is lost to them is exactly that: opportunity. So, when one reads that RSD has 30,448 students and only 1,065 make it to a senior year to constitute “all” senior ACT test takers, one should wonder how many students “fell through the cracks” in order to product the amazing result ten years post-Katrina of 21.1 percent scoring an ACT composite of 20+ and 36.7 percent scoring an ACT composite of 18+. In addition, all too often, those wishing to fashion RSD success use OPSB to carry RSD. OPSB has a 2015 district ACT composite of 20.9. OPSB has 13,173 students; 1,111 Class of 2015 seniors took the ACT. (53.6 percent scored 20+; 71.7 percent scored 18+). Thus, the RSD-OPSB “combined” ACT composite of OPSB’s 20.9 with RSD’s 16.6 allows for a much better marketing composite of 18.8. However, one should wonder about the fact that RSD enrolls well over twice the number of students as does OPSB, yet OPSB had more Class of 2015 seniors taking the ACT. One should think of those RSD high school students in particular falling through those displaced, “opportunity” cracks. Some additional OPSB insight: OPSB had Class of 2015 seniors at seven high schools take the ACT (the OPSB site has since dropped Warren Easton). However, two OPSB selective admission high schools chiefly carry OPSB ACT composite gains: Benjamin Franklin and Lusher. State-run (but not adequately state-managed) RSD has Class of 2015 ACT results that are all over the map– but mostly covering the sorry end of that map. 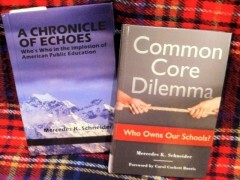 Schneider is a southern Louisiana native, career teacher, trained researcher, and author of the ed reform whistle blower, A Chronicle of Echoes: Who’s Who In the Implosion of American Public Education. She also has a second book, Common Core Dilemma: Who Owns Our Schools?, published on June 12, 2015. Mercedes, it is not that it is sad state of affairs, but it seems no one really care as to the ramifications. I am confused as to why accountability-based reform advocates are holding up New Orleans as a shining example of school closures and getting rid of “dead weight” ie the veteran predominantly African-American pre-Katrina teaching force. Simple: They feel justified in any actions they take in the name of advancing the charter model.